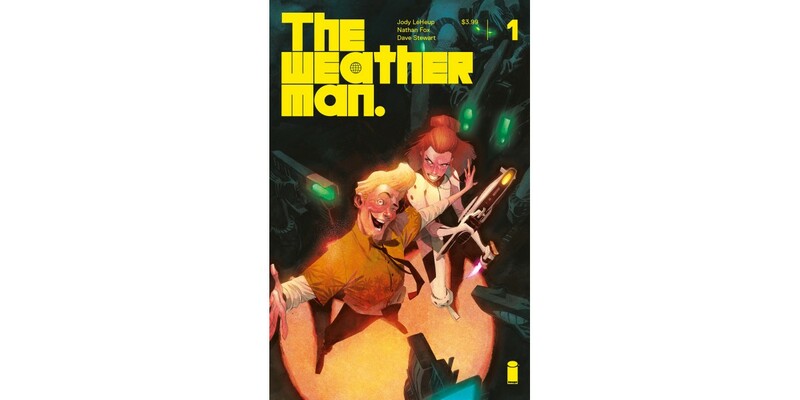 Image Comics is pleased to reveal a stunning, limited THE WEATHERMAN #1 cover featuring incredible artwork by Matteo Scalera (BLACK SCIENCE), colors by Eisner Award winning colorist Matt Wilson, and design by Tom Muller. PORTLAND, OR, 5/17/2018 — Image Comics is pleased to reveal a stunning, limited THE WEATHERMAN #1 cover featuring incredible artwork by Matteo Scalera (BLACK SCIENCE), colors by Eisner Award winning colorist Matt Wilson, and design by Tom Muller. THE WEATHERMAN #1 hits stores on Wednesday, June 13th. The final order cutoff for comics retailers is Monday, May 21st.